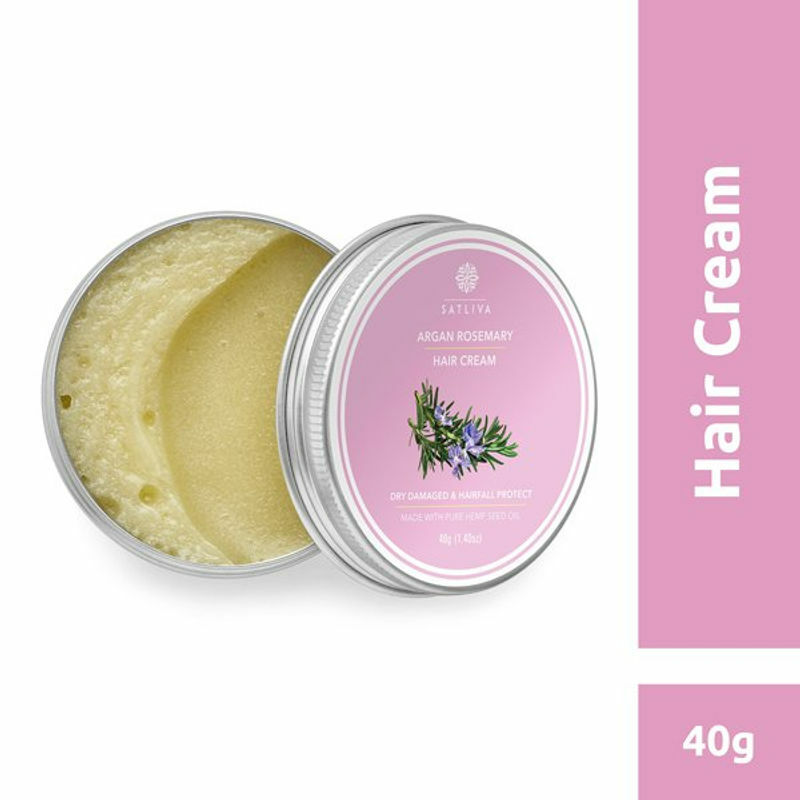 Satliva Argan Rosemary Hair Cream is a combination of the best handpicked Himalayan hemp seed oil, and essential fatty acids that deep moisturise and nourish scalp and hair. Argan oil, also famously called liquid gold, is rich with vitamin A, C and E and antioxidants, can help boost the cell production for healthier scalp and hair. Jojoba oil is a blessing, as it is loaded with vitamins B-complex and E, zinc, copper, selenium, chromium and Iodine, which moisturises the scalp and hair. This oil is also very light, non-sticky and odourless, while rosemary essential oil delivers a soothing, cleansing and stimulating effect to your hair and scalp. Rosemary oil strengthens hair follicles and improves blood circulation in deeper skin layers on the scalp. This hair cream helps restore dry, damaged and chemically treated hair by moisturising, promoting hair growth and reducing split ends. This is a unique blend of herbs that provides radiant shine and body to brittle hair, making it look healthier and manageable. The hair cream is safe for daily use.